Movers of fine homes and office environments, provides local and long distance moving, containerized storage and self storage to Manhattan, Westchester NY, and Fairfield CT, homes and businesses since 1950. 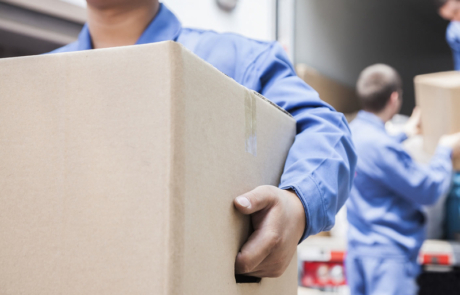 As a full service moving and storage company serving Manhattan, Westchester and Fairfield county area for over 50 years, we pride ourselves on servicing our customers with white glove local and long distance moves. Our residential moves start with a free in home estimate by a professional move consultant. We offer movers and a full packing service as well as antique care and special heavy services. 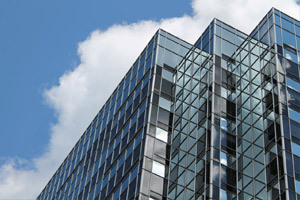 Big office or small, moving your business smoothly and at competitive cost is easy with JB Moving Services. We are specialists in logistics associated with office and industrial moving, ensuring maximum productivity of employees before, during and after the move. Our office move checklist, communications, and logistics and inventory management makes your relocation as seamless as possible. 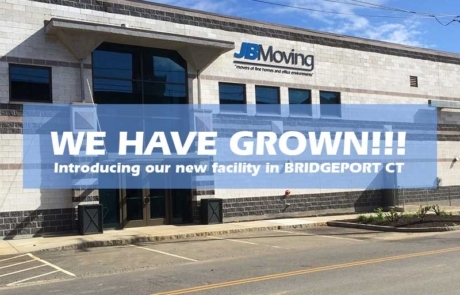 JB Moving offers storage both containerized storage for the long and short term as well as JB Self Storage for the convenience of storing your goods on your own time. 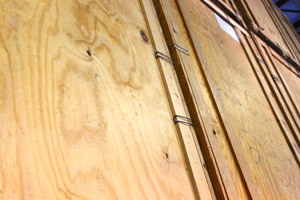 All our storage facilities are climate controlled with state of the art security. We have home furniture distribution and delivery contracting as well offering high end furniture and white glove setup to all our customers through Ligne Roset. To provide our customers with the most efficient, innovative household, commercial, and international moving experience possible. To perform all of our services with total customer satisfaction as our goal. To create a competitive advantage through effective use of the individual and collective talents of our people. This was a great moving experience. Santiago’s crew moved us from New York to Florida. Everything went as perfectly as was promised. Everything arrived in one piece. Everything from the packing, loading and unloading moved like a Swiss clock. I would recommend this company without hesitation. GREAT JOB!!!!!!! They may charge a little more then other companies, but WORTH IT!! You can’t put a price on how much stress JB movers alleviated. I had them pack and move most of my apartment. They were professional, hard working, trustworthy and nice. Moving isn’t easy, but without JB I don’t know if I could have done it. Thank you!! I’ve used JB moving on multiple occasions. Lou has always taken care of me with the utmost of respect and professionalism. The crew always arrives on time, prepared for the job, and is meticulous in carrying out the move- from packing to clean-up. I would never hesitate to use or recommend Lou and JB Moving.